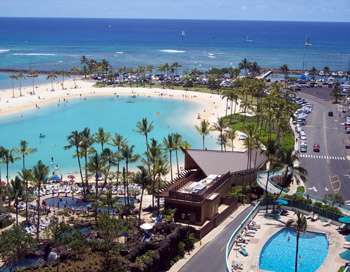 Awesome Lagoon - Fireworks Views! 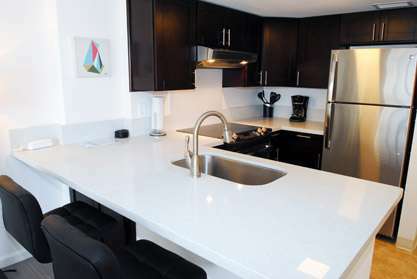 Brand new addition! 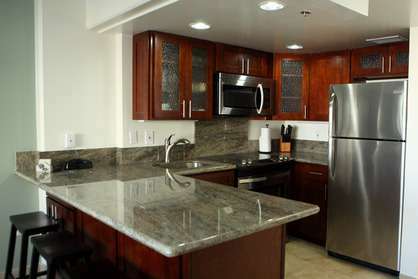 - Ilikai’s newest, top of the line modern, high-end designer remodel, just completed June 2017. 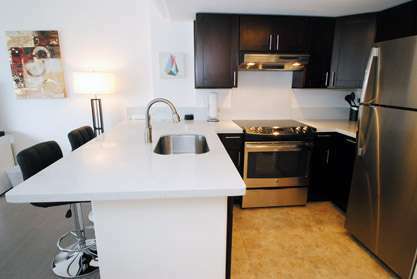 The unit was redesigned for maximum visitor enjoyment and most efficient use of space. 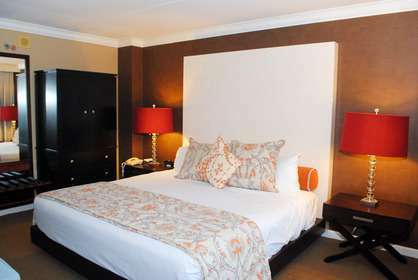 You will enjoy two brand new Queen size Zinus Master Ultima Comfort memory foam 12” beds, plus a Queen memory foam pull-out couch. 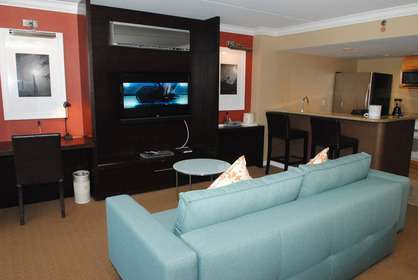 This is a rare combination that sleeps 5 adults comfortably. 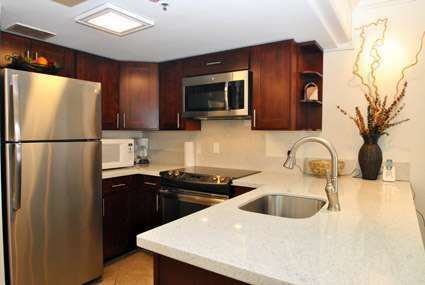 This unit will has a new modern open granite kitchen, new tile/wood flooring through out the condo and a brand new modern bathroom with walk in shower. 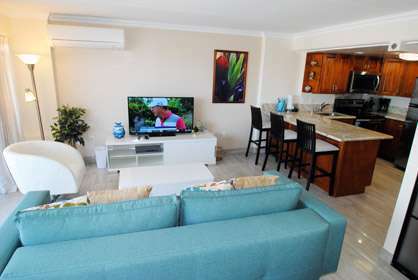 In addition the condo has all new modern furniture including a sofa bed in the spacious living area and a king bed in the bed area that also has full large closets. 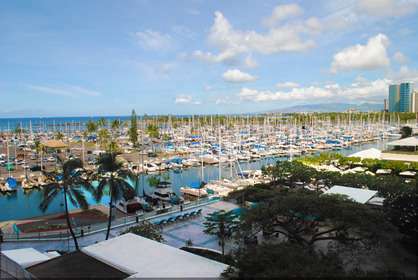 New Remodeled Marina Ocean Views ! 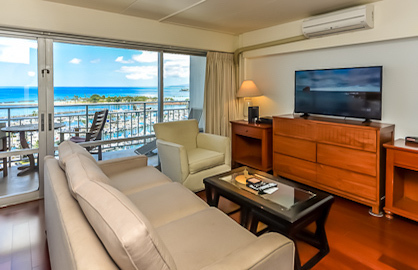 Ilikai 1441 has some of the best ocean and sunset views you can get at the Ilikai. 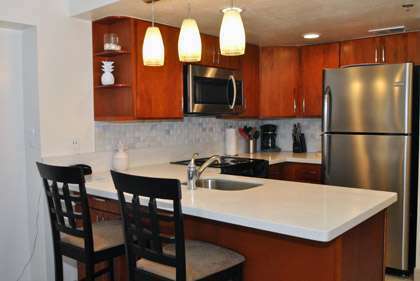 This condo was just fully remodeled from top to bottom and all new furniture, you can't get a newer more modern condo than this. 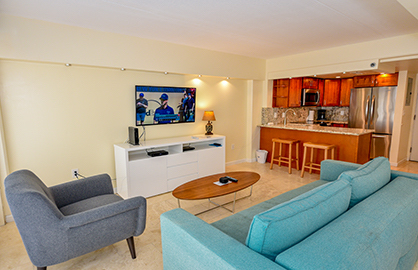 This elegantly remodeled 1,000 sq-ft. accommodation plus 240sf lanai features 2 large bedrooms, 2 full-baths (+Jacuzzi tub in master suite) with elegance and quality throughout; full ocean, lagoon and swimming pool views. 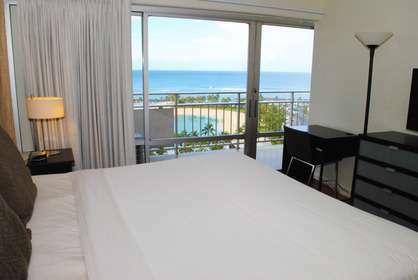 1 King and 2 Full Size beds with 2018 Sealy Posturepedic mattresses. 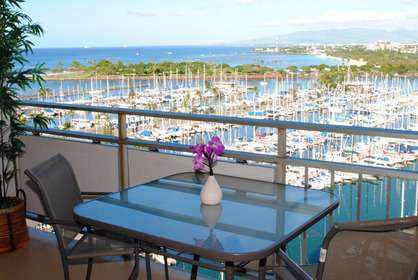 This condo has the best lanai and ocean/lagoon views you will find at the Ilikai. 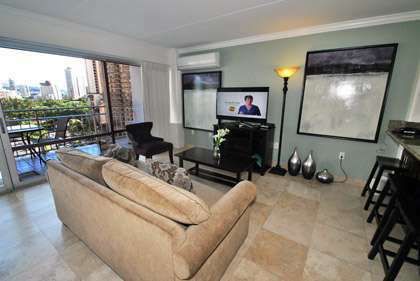 Very rare "18" stack 2 bedroom is the ultimate position to face directly at the beautiful lagoon and ocean views. 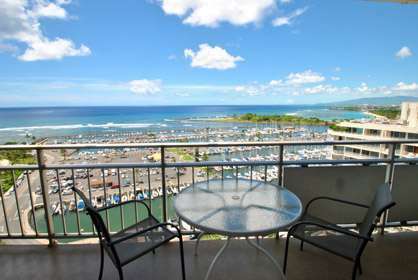 Watch the surfers, luau, beach goers, all from your huge 40' long balcony looking straight out to the ocean. 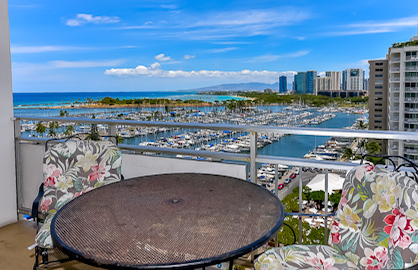 This unit has just been completely remodeled to the highest standards and is in the most desired location in the building with views to die for. 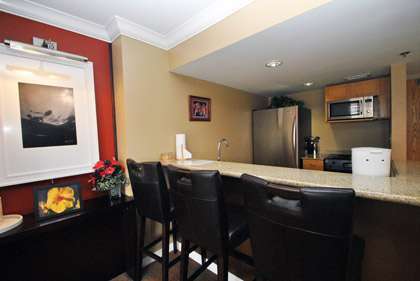 This studio unit has two super high end comfy double beds, queen size sofa bed, 47" LCD TV, DVD, whisper quiet split AC system, black out curtains and wood floor in living area and travertine floors throughout the rest of the condo. 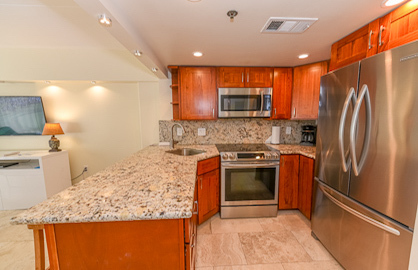 Newly Remodeled Condo at Ilikai! 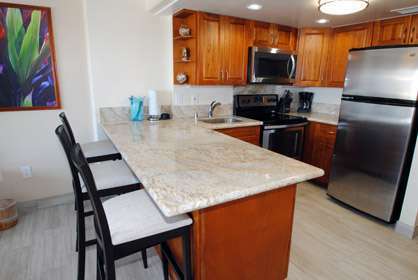 Wow, perfect views, perfect location and just remodeled to designer standards, what more can you ask for. 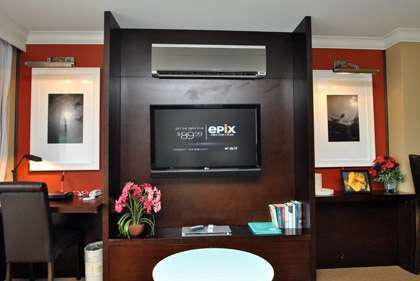 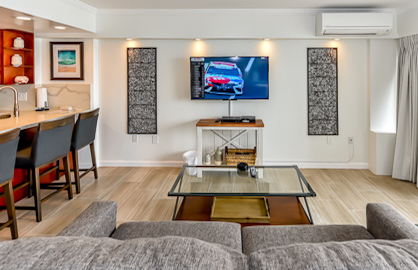 Attention to detail is what this condo offers guests. 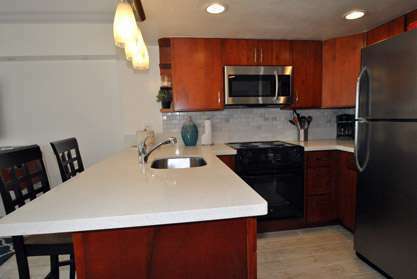 All new modern open granite kitchen, stainless steel appliances, dishwasher, new modern plank tile floors, all new modern bathroom, large tiled living area with new large flat screen TV, DVD, sofa bed and whisper quiet split AC System. 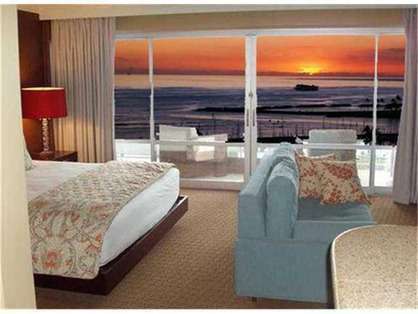 Quiet High Floor, Ocean and Lagoon View! 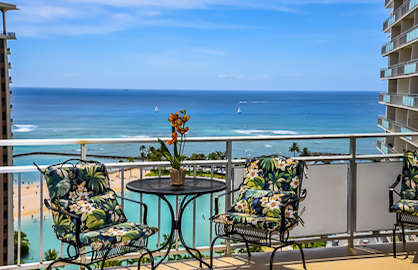 Imagine sitting on your lanai, listening to the Hula show you can hear and view from your lanai, drink in hand, watching the surfers surf, paddle surfers in the beautiful lagoon, kids snorkeling or the spectacular fireworks show on Friday nights just outside your lanai. 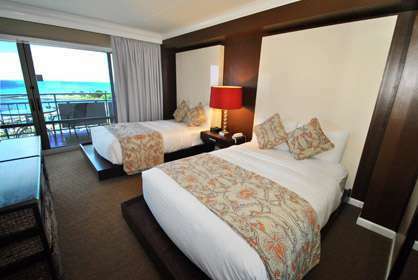 This is your Hawaiian home for the next week, two weeks...or as often as you would like to return. 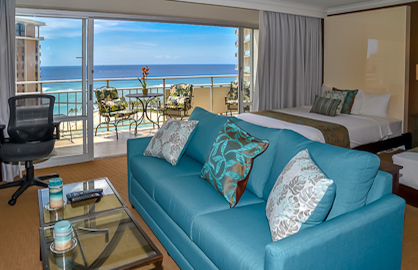 Luxury oceanfront condo with stunning and unobstructed views from the 19th floor . 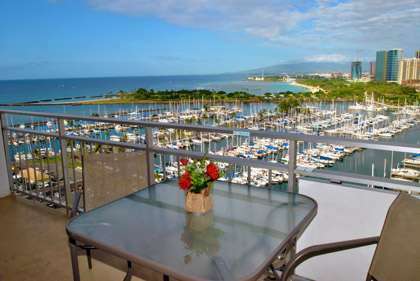 There is a sweeping and direct ocean view from this completely remodeled unit. 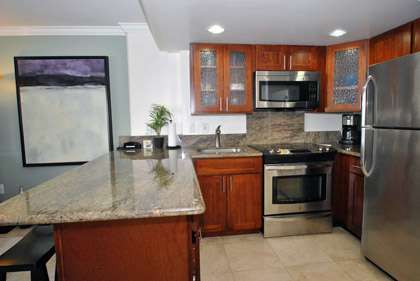 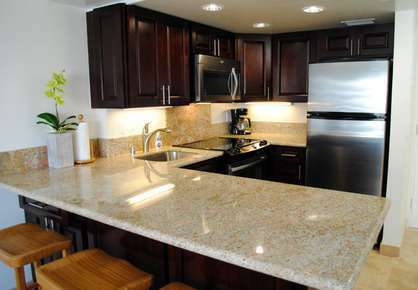 This gorgeous unit was remodeled recently in a modern contemporary Hawaiian style. 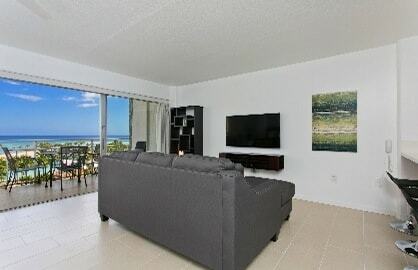 You can enjoy a commanding ocean view the moment you first step in the front door and from any where in this unit, and you will enjoy hours relaxing on the private lanai. 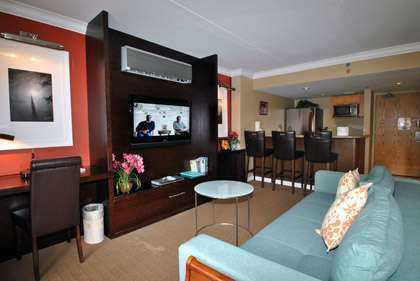 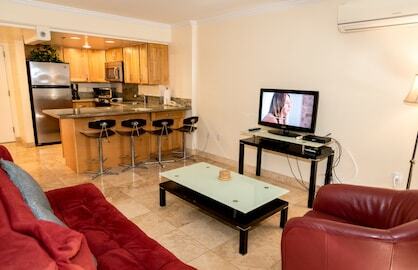 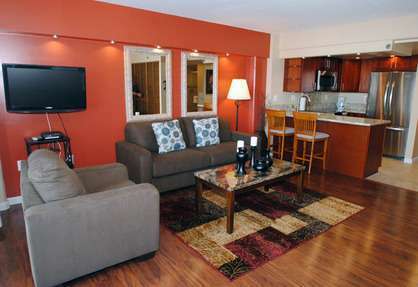 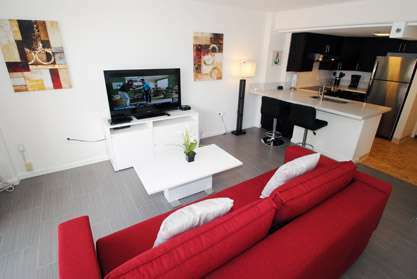 This great condo has two double beds and a sofa bed that is outfitted with linens and pillows for another guest. 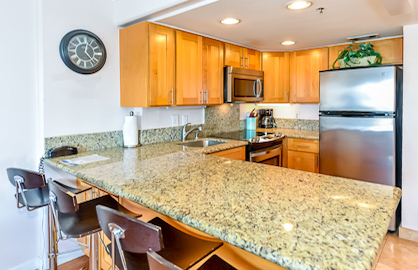 The modern kitchen has been designed with the highest quality materials, such as granite counter tops, stainless steel appliances and a breakfast bar to complete this gourmet kitchen. 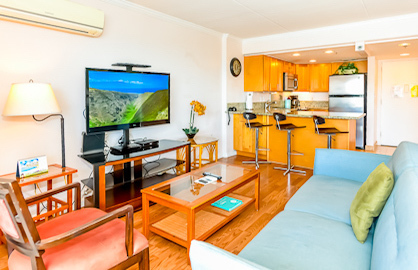 The living area has a new 49 inch flat screen cable TV with DVD, IPod docking station, an Internet work desk with free high speed internet. 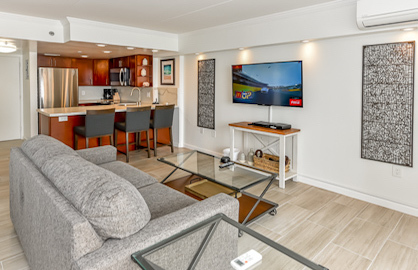 This great condo with awesome views just completed a remodel that includes all new tile flooring, new modern kitchen and bathroom, new whisper quiet split AC system and modern furniture and decorations. 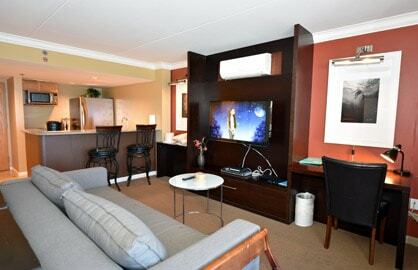 The unit has two double beds, full bed area closets and a double sleeper sofa, a 55" flat screen TV plus DVD player and sheer and black out drapes. 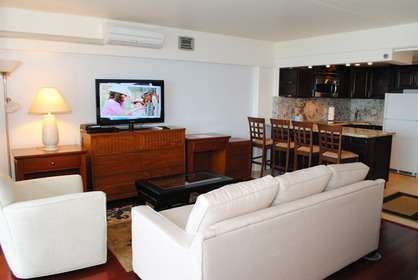 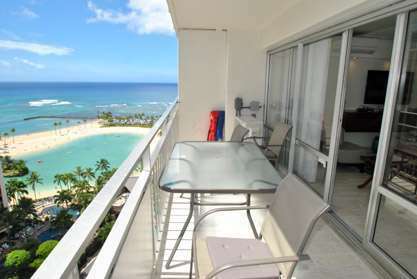 Luxury executive deluxe ocean and beach view condo on the upper 18th floor, just steps to Waikiki Beach. 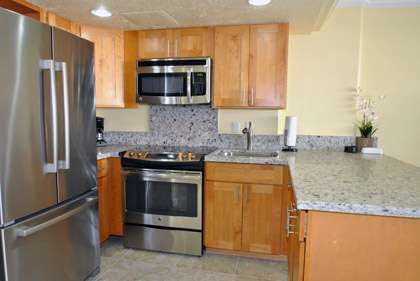 Completely remodeled "executive" kitchen with granite countertops and modern stainless steel appliances that include fridge, stove, oven and microwave. 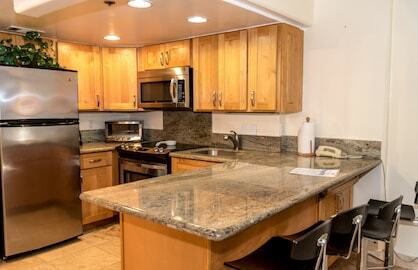 Completely outfitted to cook full meals. 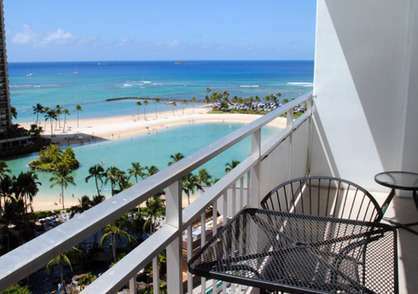 Best Lagoon Ocean Fireworks Views! 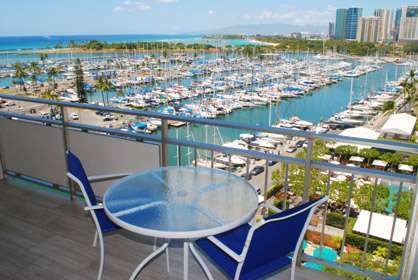 Ilikai 1738 has some of the best ocean views you can get at the Ilikai. 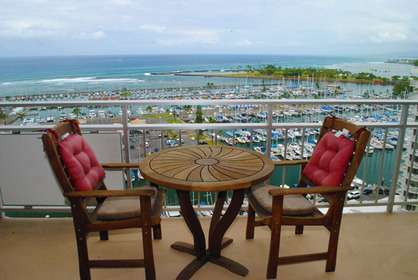 If you know the Ilikai and want the best ocean lagoon luau fireworks views, this is the unit for you. 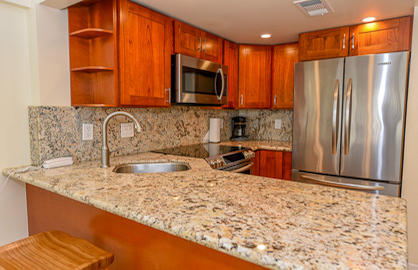 This unit just completed a remodel and has a new modern kitchen with quartz counter tops and all stainless steel appliances that include stove, oven, microwave, fridge, deep stainless sink, coffee maker, rice cooker and all the items to make your meals like plates and utinsels. 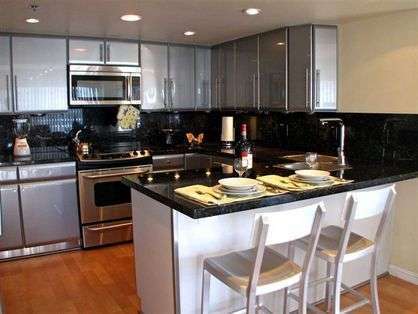 Beautiful Amazing Condo - Ocean Views! 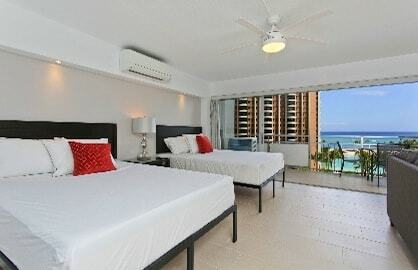 Just walk in the door you will be instantly struck with breathtaking majestic ocean views from every vantage point! 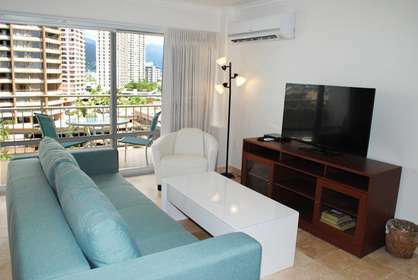 This newly remodeled modern condo has the best ocean and sunset views in Waikiki. 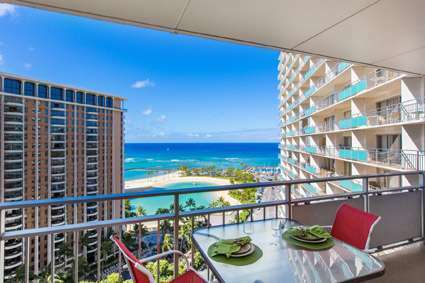 This great unit is situated on the most desired ocean/marina side of the world famous Ilikai Resort, steps from the best beach in Waikiki. 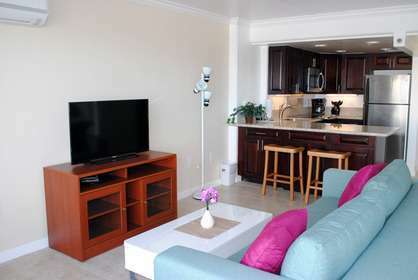 This excellent and beautiful luxury condo is direct oceanfront with awesome Lagoon, Luau & Fireworks views. 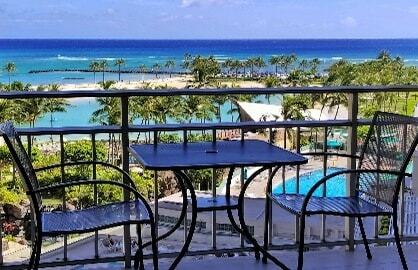 You can watch the Hilton Luau next door from your lanai and save over $100 that it costs for the show per person. 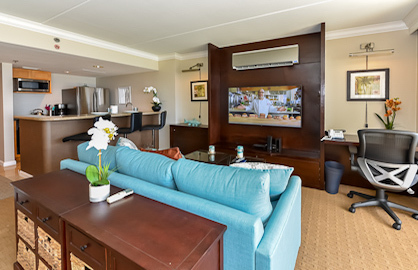 If you are looking for the best wide open ocean and sunset views, this unit can't be beat. 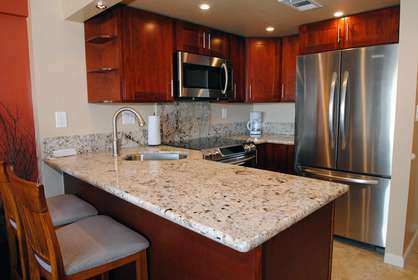 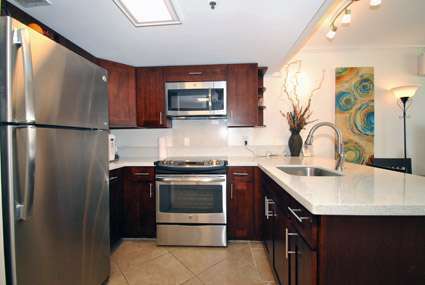 Completely remodeled, this unit is elegant and sophisticated in both its design and furnishings. 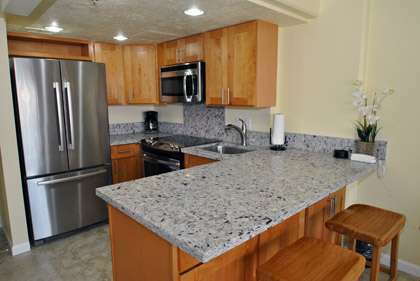 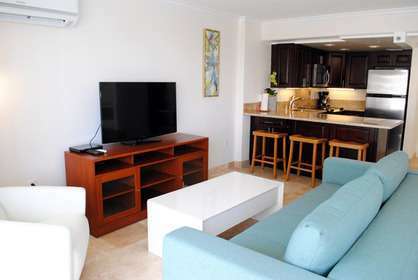 Outfitted with a king size bed and a brand new sofa bed, flat screen TV, DVD, free internet, full granite kitchen, granite bathroom and a comfortable spacious 120sf lanai, this unit has it all.